The Hawks will be recognizing one player per week, for their outstanding team contributions...not only on the ice, but also for their character of what they do in the community/school etc. Mite White won their tier at the Wissahickon Thanksgiving Tournament. Luca played great!...he put his team in a position to win. (#1 job of a goalie) It’s his support for teammates that stood out to the coaches and parents. Off the ice Luca has been excelling in the classroom at Scenic Hills Elementary School. Aiden helped lead the 2012-2013 Squirt A team to a solid showing at the 2012 Oaks Thanksgiving Tournament. He had two consecutive games with 30+ and 20+ saves respectively. 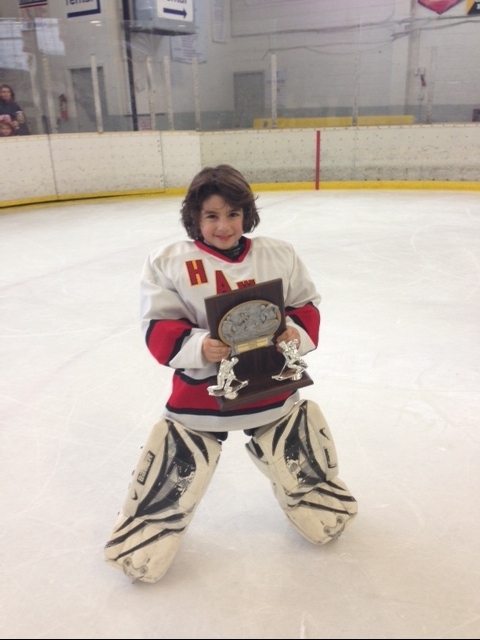 His solid weekend helped his team win the Bronze with some solid saves in close. 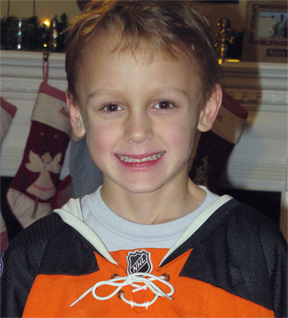 Aiden is a big fan of baseball, and enjoys hanging out with his hockey teamates!